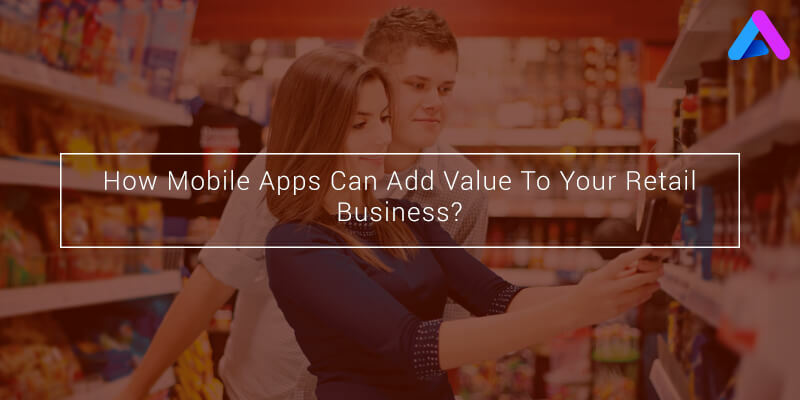 How Mobile Apps Can Add Value To Your Retail Business? In recent years, Retail apps have entirely changed the shopping experience and they have become a key shopping tool for consumers worldwide. Retailers are developing mobile apps that are meant for consumers’ shopping needs including product browsing, rewards points, deals & offers, suggestions and even transactions. Now consumers have new shopping experience and are now depending on their mobile devices to enhance the overall shopping experience. Have you ever thought? – Why shoppers are increasingly using retail apps? – Because of the experience that they are gaining by using mobile is amazing. According to a recent study – 88% of people who use retail apps has amazing shopping experience. Mobile apps have become the easiest and efficient way to purchase and assist consumers with their purchasing decisions. Few reasons why Mobile apps are being used by shoppers are easy to use, personalized to each shoppers, enhance customer satisfaction and strengthen their brand loyalty. Mobile shopping has become easily available and accessible to shoppers. And, shopping has become readily available on-the-go and at the fingertips of consumers so that users can purchase, browse, or recommend products and services anywhere and anytime. Easy payment options integrated within app makes the purchasing process simple and user-friendly for the shoppers. With a flawless and seamless path to purchase, retail apps also helps in eliminating friction points. Retail apps are becoming much more personalized and user-friendly, thus targeting each individual shopper, which in turn, enhances their shopping experience. Today many companies are integrating special discounts and loyalty programs within their retail apps, such as Starbucks and Shoppers Drug mart, etc., to make it more personalized. They often include push notifications, loyalty programs, and deals & coupon integrations targeted to the user’s needs. According to a study showed – 51% of mobile app-users use retail apps in-store to help users with their shopping needs. And, this has taken personal shopping experience to the next level. Now consumers have easy access to more information, which in turn, helps in making sound purchasing decisions. They now want a more personalized shopping experience that includes saving money with discounts, checking reviews & ratings and comparing the best products and services to meet their lifestyles. The advancements of digital shopping has enhanced an autonomous shopping experience, thus creating more customer engagement. Today most of the shoppers are looking for tools that increase convenience and engagement throughout the shopping life cycle. And, that’s why shoppers are more likely gaining more customer retention and gaining valuable shopping experience. According to recent reports, many retailers have already acknowledged this and are now completely focusing on expanding their digital presence. By having a right digital interaction with shoppers, retailers are creating much closer connections with their customers, thus, meeting their shopping needs. The right retail apps provide the shopper with much more selection options and convenience to ensure that their shopping experience is seamless. And, this in-app engagement enhances customer engagement, brand loyalty and builds strong and long-term customer relationships. Today shoppers are moving away from brands that are slow-to-adopt the mobile-first approach and are less active in digital shopping world. In turn, the companies who have not yet adopted mobile-first approach are suffering the consequences. 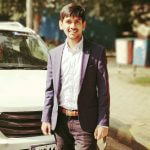 Being a leading mobile app development company, AppInventiv has worked with many world-class retail start-ups and brands, thus enhancing their brand loyality and value. If you are looking for a mobile app development company that can help you in building your retail app, connect with us at sales@appinventiv.com.